Here are the ingredients we used. Most recipes layer the ingredients but not us (or should I say Farm Boy) it’s better all mixed together first. Apparently this way you get all the flavors together. 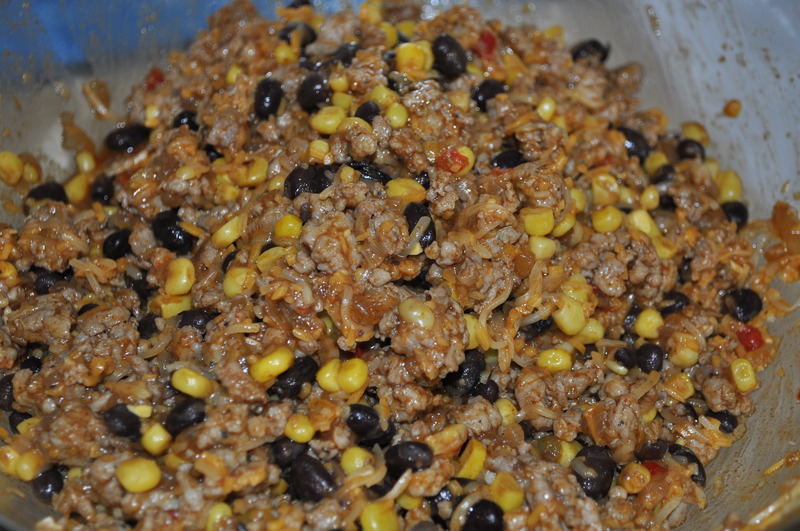 It’s preference – in reality I think it’s the same but anyway brown the meat and then mix with the salsa, 1 cup of cheese, black beans, and corn. It doesn’t look very pretty but that’s ok – it will look pretty later. Spray the muffin pan with non-stick spray and push the wonton wrappers in so it forms a cup. 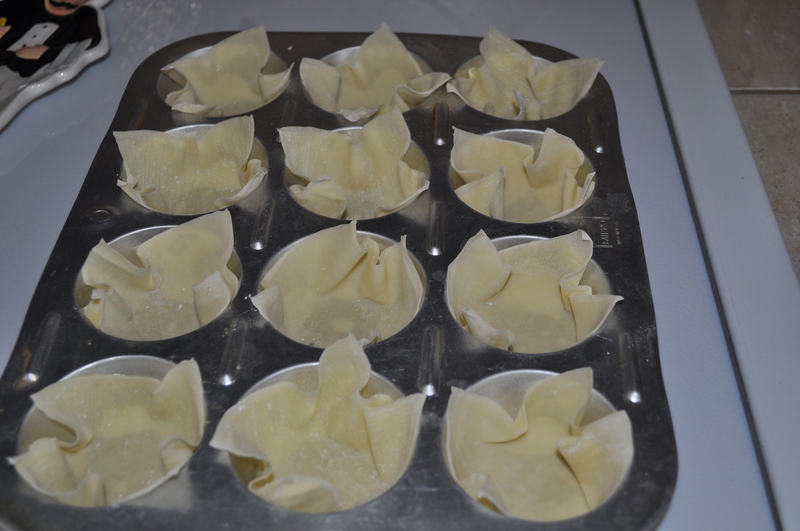 Pre-bake wonton wrappers for 5-7 minutes to get them a little crisp. Remove them from oven and add the filling to each wrapper and top with the remaining cheese. Return to oven for another 3 to 5 minutes but make sure the edges don’t get dark brown. They just want to look a light brown and crisp. Top with sour cream and green onion. These are delicious and honestly any filling in them would be awesome. Maybe a little black olive on top or jalapeno? Yum! This entry was posted in Food and tagged best mexican appetizer, Cheese, easy appetizers, fast appetizers, How to use wonton wrappers, mexical food ideas, mexican appetizers, mexican food, Sour Cream, Taco, Wonton, wonton wrapper ideas, wonton wrapper tacos. Bookmark the permalink. 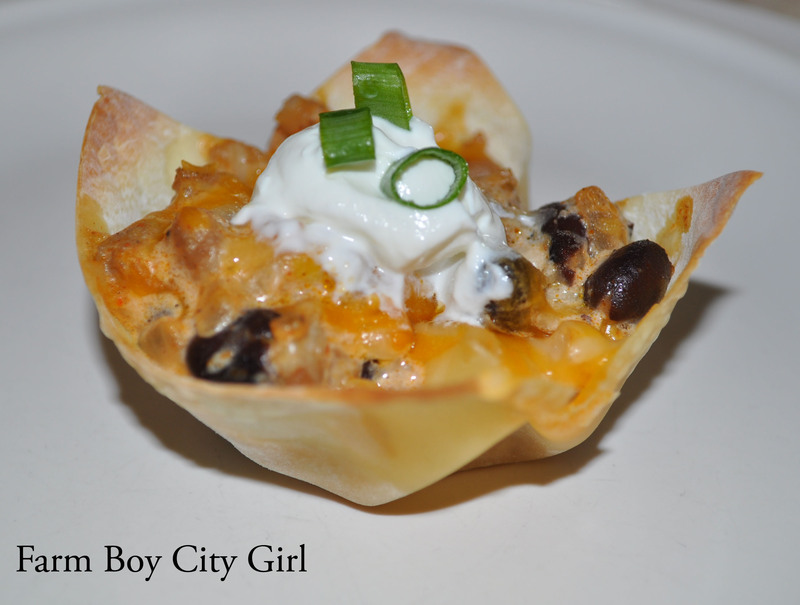 Can’t wait to try your taco cups, they look nummy! Good job on the barbie doll chair-great directions.